Rice King Express, Chinese Take-out Cuisine, 3646 West 9800 South, South Jordan, Utah. Sizzling with combination of scallops, shrimp, tender beef, chicken broccoli & veg. Tender chunks of boneless chicken lightly crisped, served with a tingling spicy sauce. Crispy chicken with spicy orange flavorite sauce. Lightly fried jumbo shrimp in a creamy sauce over a bed of lettuce topped with candied walnut. Crispy pan fired noodles, topped with chicken, beef, shrimp, pork and vegetables in a light white sauce. Shrimp, beef, chicken, barbecued pork with choice of mixed vegs in chef's special sauce. Shrimp, scallop, crab meat with vegs in house special sauce. Shrimp, beef, chicken come with chef's special hot sauce. Pepsi, Diet Pepsi, Dr Pepper, Root Beer, Lemonade, Ice Tea. Buy one get one free ham fried rice. Buy 1 Ham Fried Rice ($5.99), get one FREE! Limited time; offer and pricing subject to change without notice. 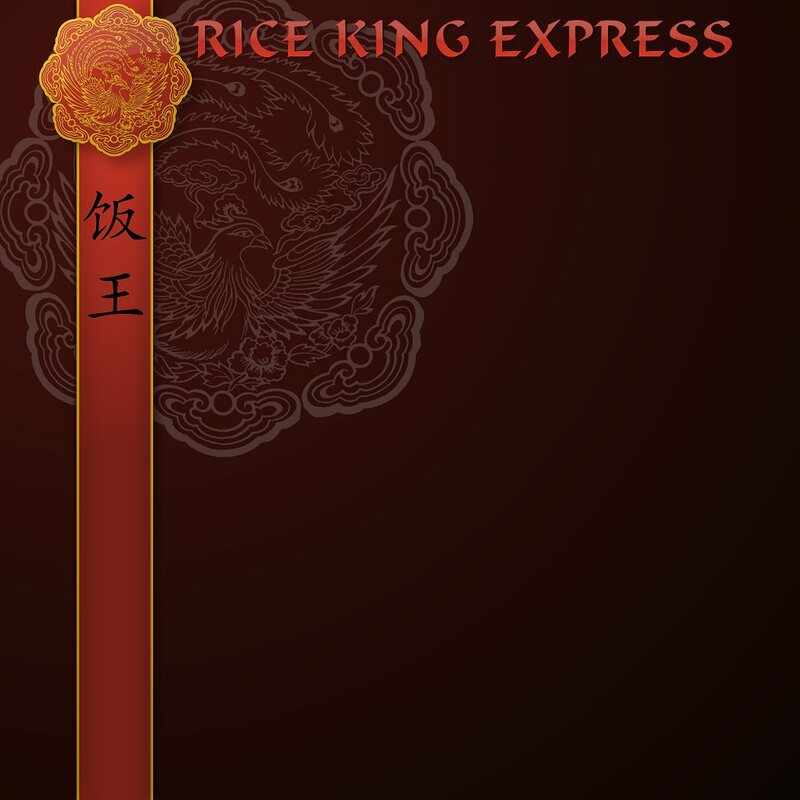 Rice King Express. 801-282-9696. 3646 West 9800 South, South Jordan, Utah 84095-3260. © 2018 Rice King Express. All rights reserved.